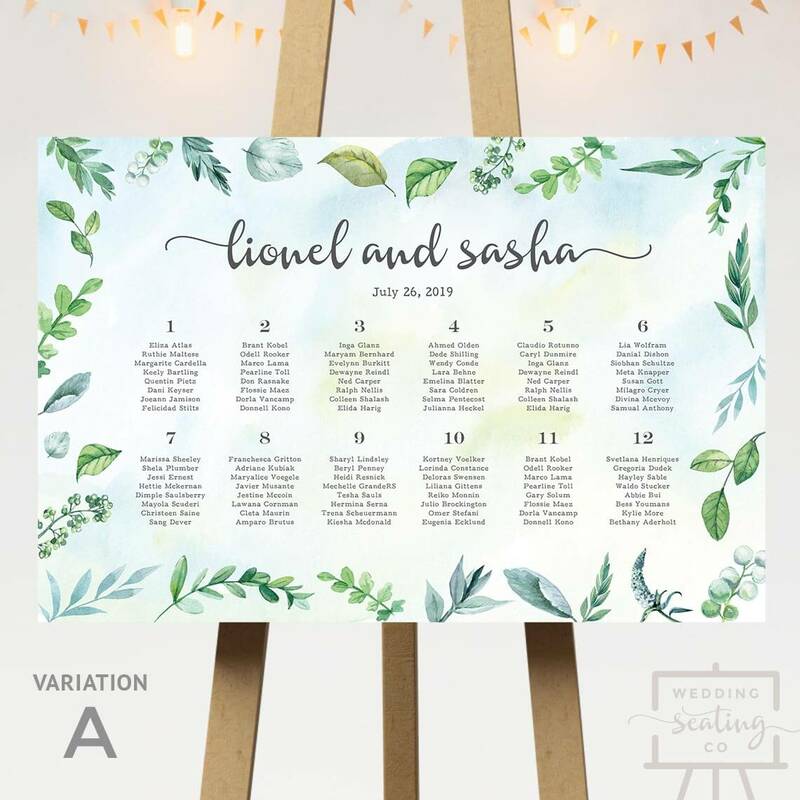 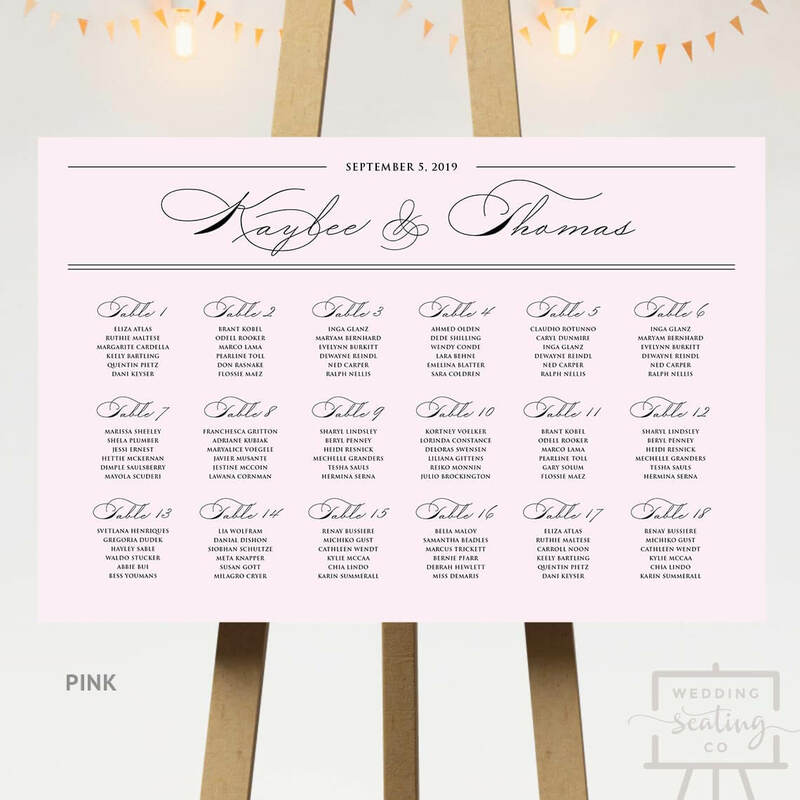 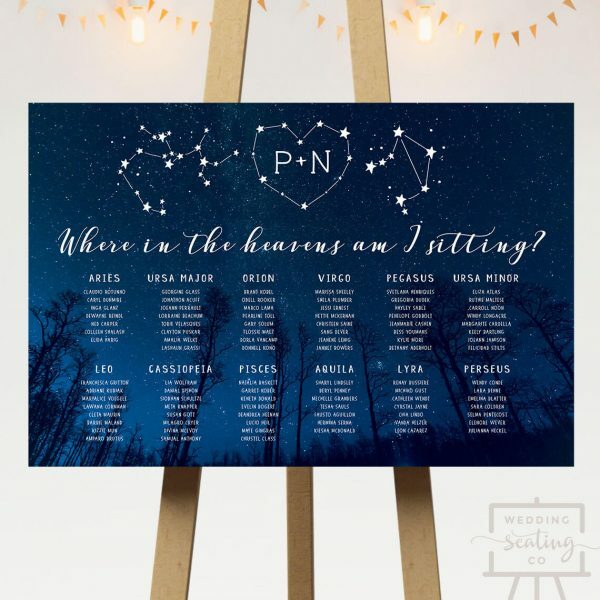 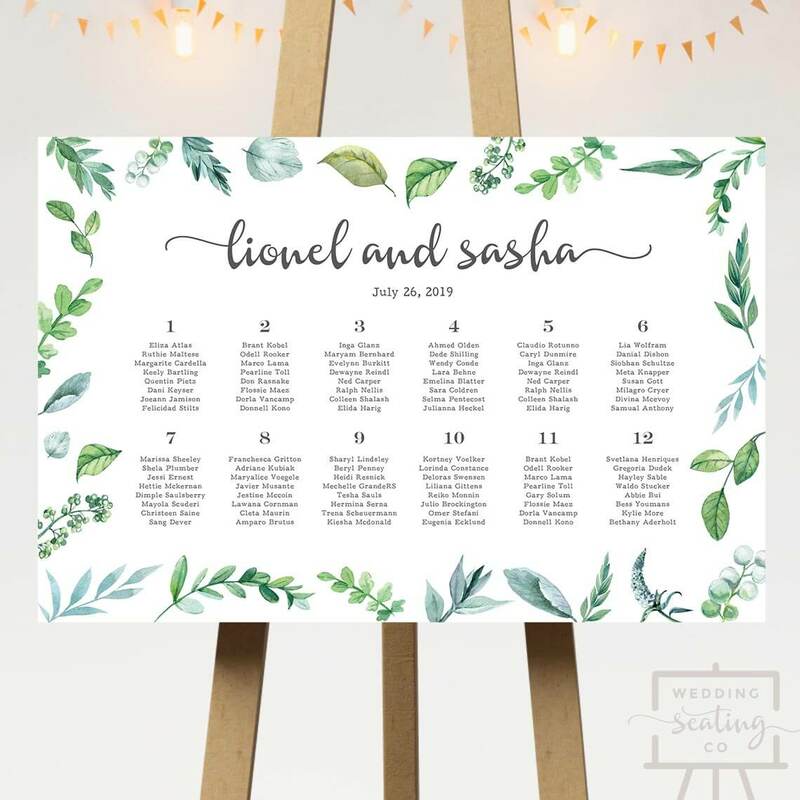 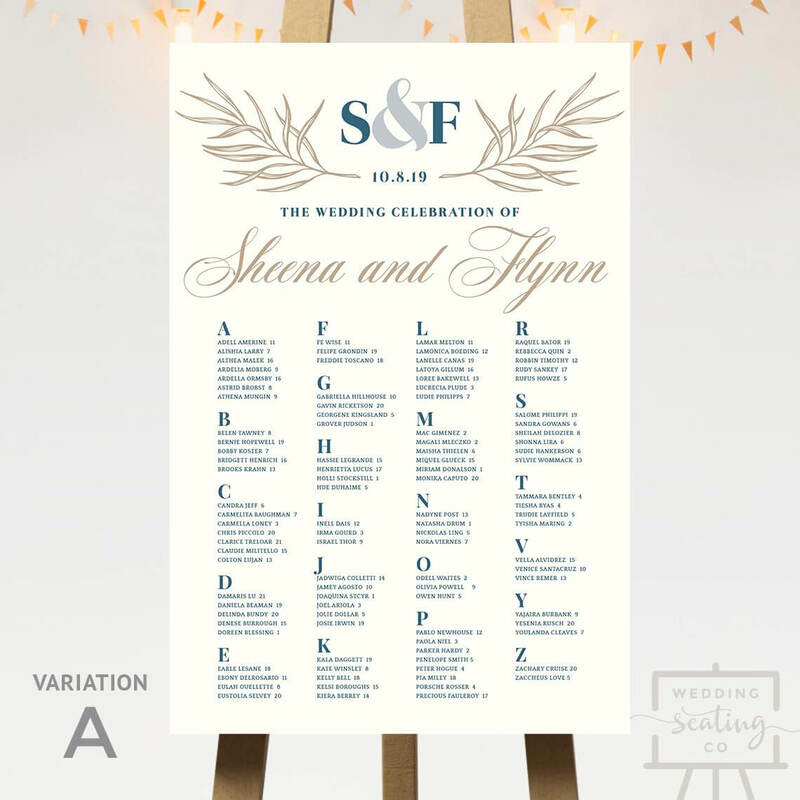 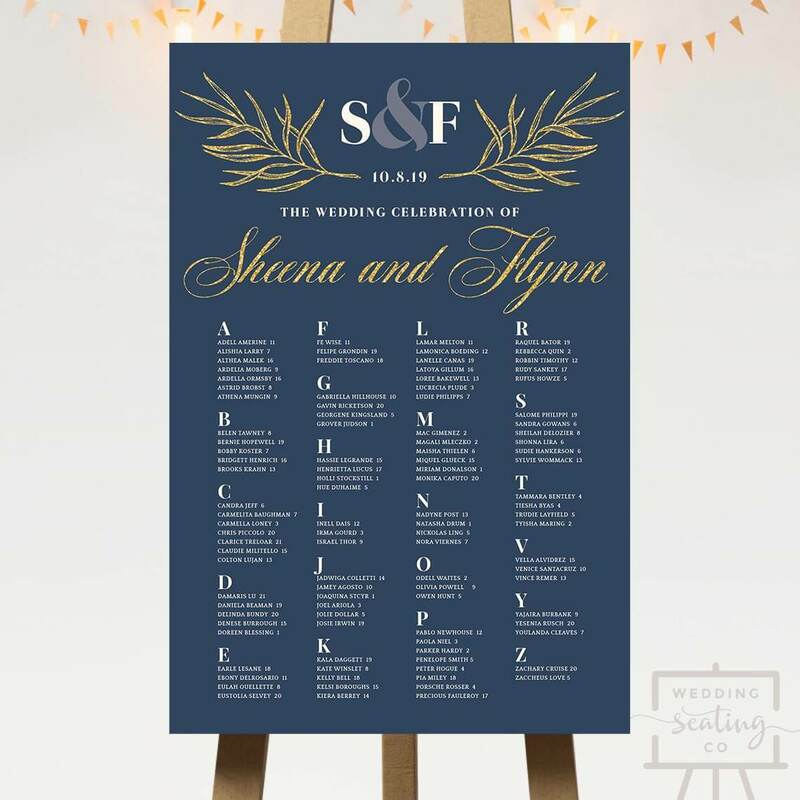 A Starry Night Wedding Seating Chart perfect for a celebration under the stars! 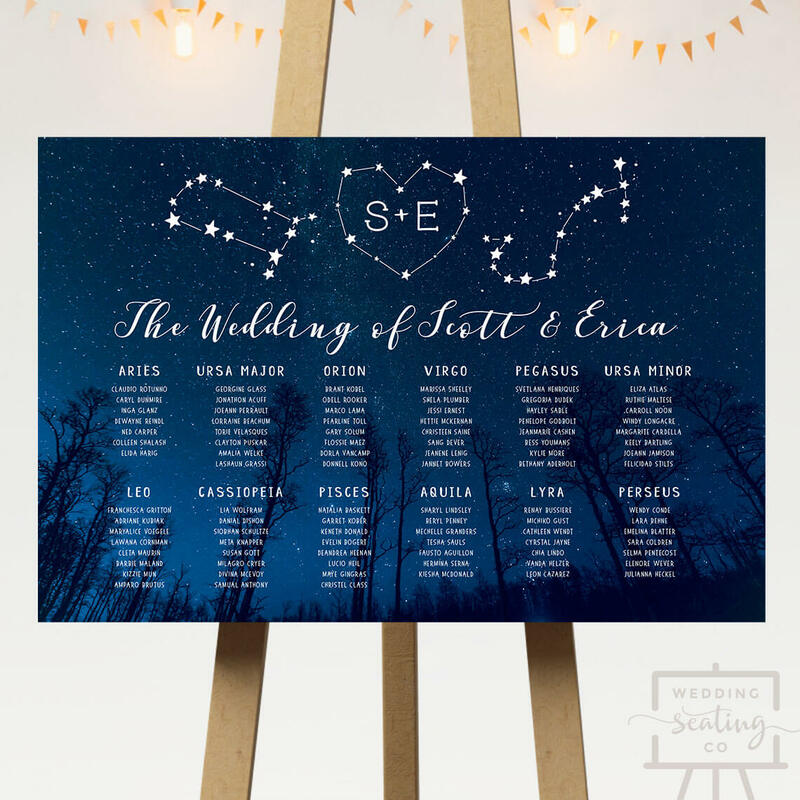 It features silhouettes of trees against a star-speckled night sky. 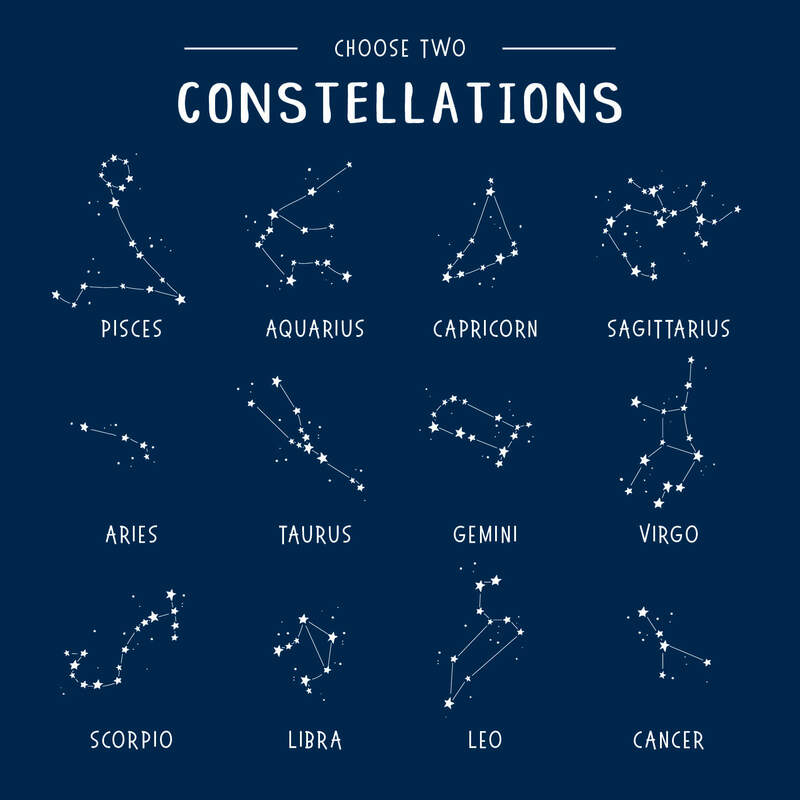 The header is composed of two constellations which you can choose, and initials of the happy couple in the heart. 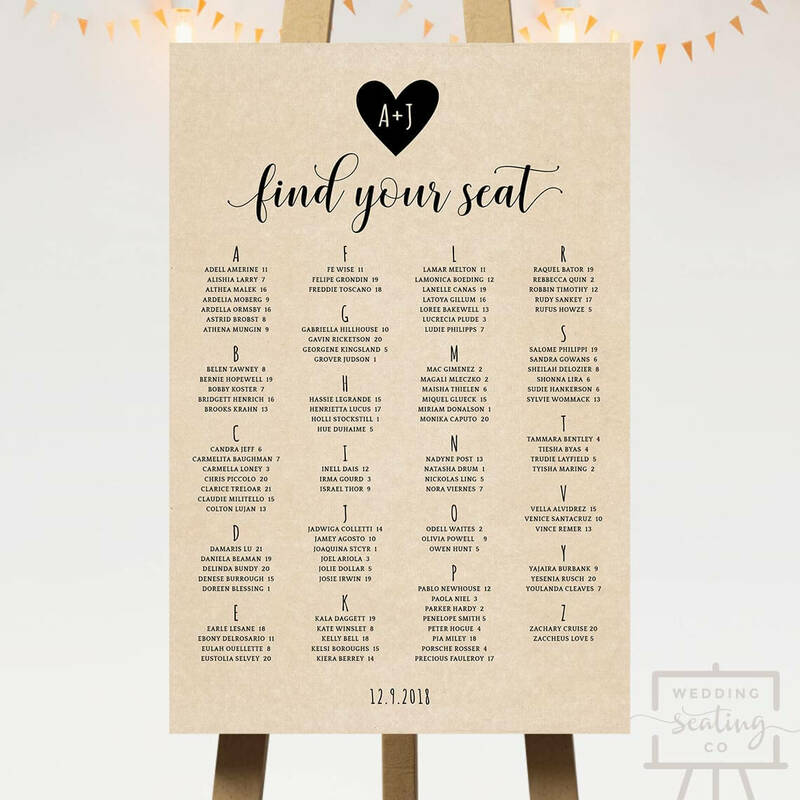 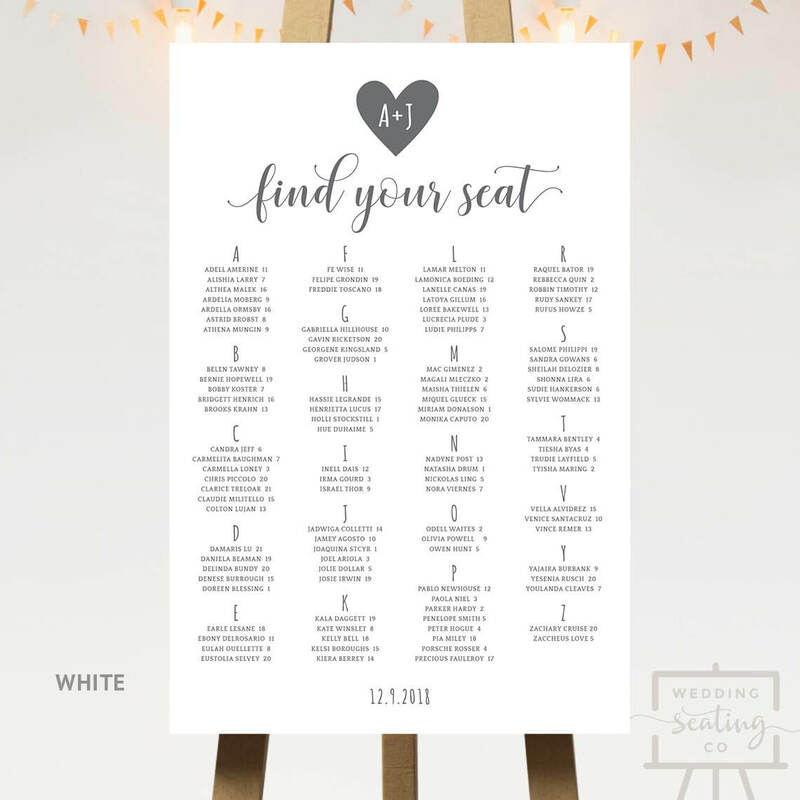 You can also choose the text that you would like – suggestions include “Where in the heavens am I sitting?”, the names of the couple, or a simple “Please find your seat”. 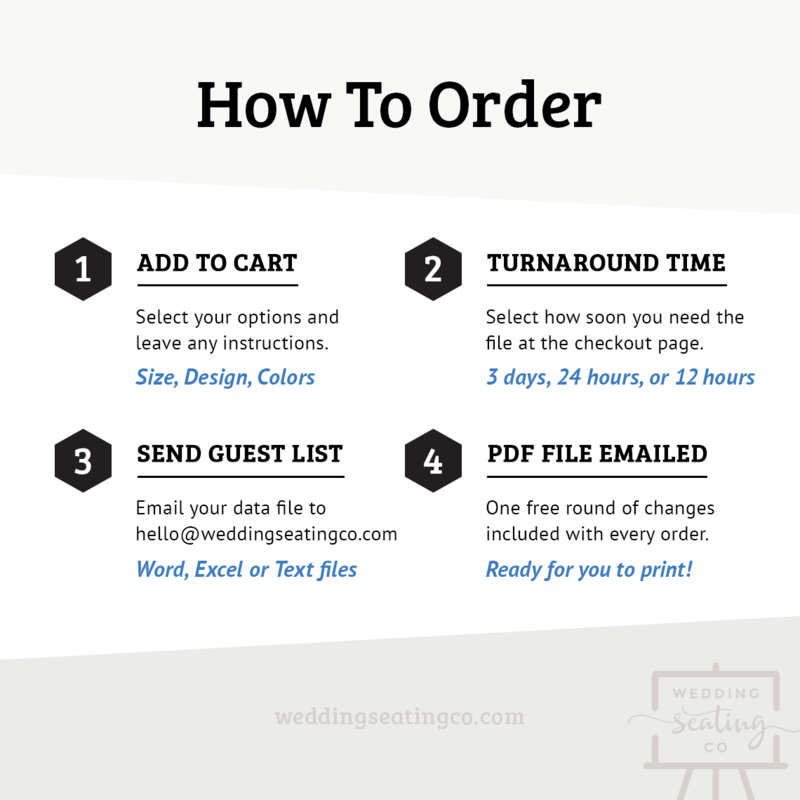 Specify this in the Notes box below. Names of tables are customized according to your needs. 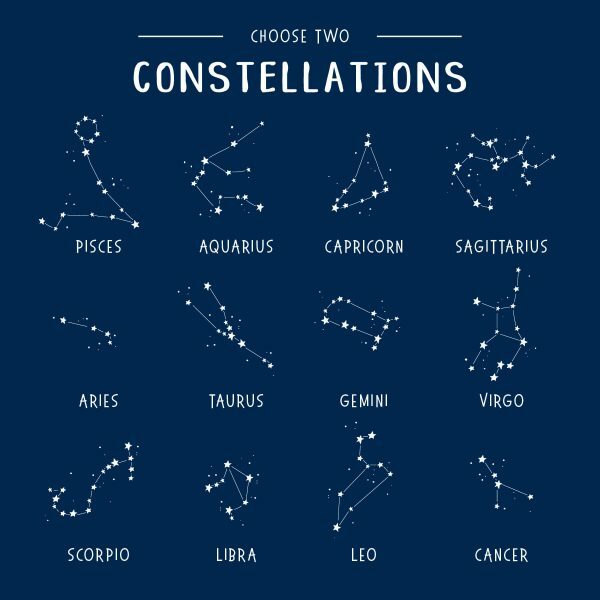 They can also be arranged alphabetically if you prefer.